Launch a usability test is a great help to your web and app. Here are top 20 free usability testing tools that will help improve website usability. Usability testing is a necessary step before websites and applications go live. When you launch a website or an app, you have no idea what your customers think of your landing page - whether they like it or not. Will it boost conversion rates? These are vital considerations that every developer has to pay close attention to. Bad user experience may harm - or even kill - your customer base, so it is of utmost necessity to launch a usability test before going live. Usability testing allows designers or developers to discover problems before they are coded in order to improve the usability of the site and create a good user experience. The Mockplus team has gathered the top 20 free usability testing tools that will help boost website usability. Where are your users mainly coming from? Which section do the users stay the longest? Which areas on your page are getting the most clicks? Which parts can be optimized and which can be ignored? 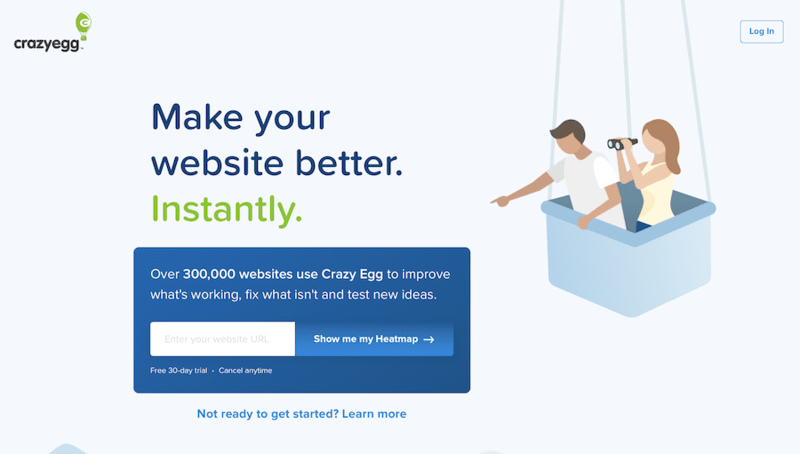 In addition, CrazyEgg is able to tweak your landing page based on an easy-to-understand report. Based on this report, you can optimize your website and application in order to improve conversion rates. Features: heatmaps, confetti reports, scrollmap view, easy to use, user recordings, & A/B testing. 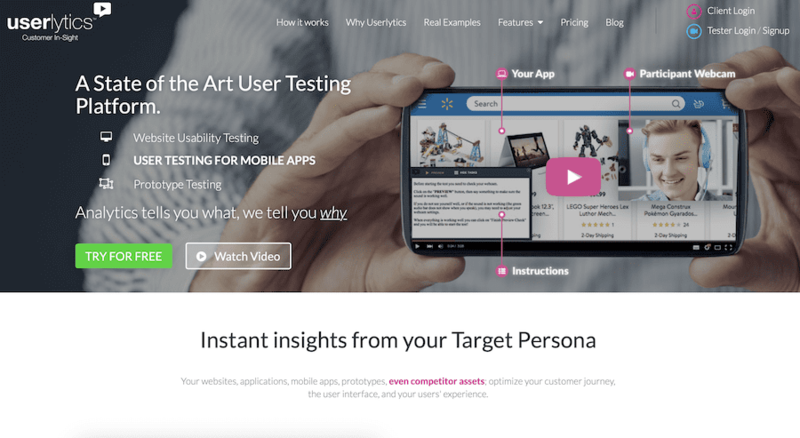 UserTesting is a UX research＆usability testing tools for developers and designers. You’ll receive accurate customer behavior insights through this platform. You can get fast feedback from real people in their natural environment in the form of flash videos or written summaries, which will let you know what they like and dislike and why they leave your website. Additionally, it allows you to test your designs on any device (desktop, iPhone, iPad, Android phone, and Android tablet). With real-time feedback, you are able to build an easy-to-use product with good user experience. Usabilla is a leading usability testing tool. It allows you to collect feedback from real users. You can also get detailed surveys from potential users. From these, you can discover what your visitors think of your content, allowing you to better optimize your web pages. Usabilla also offers solutions for email feedback and visual surveys. 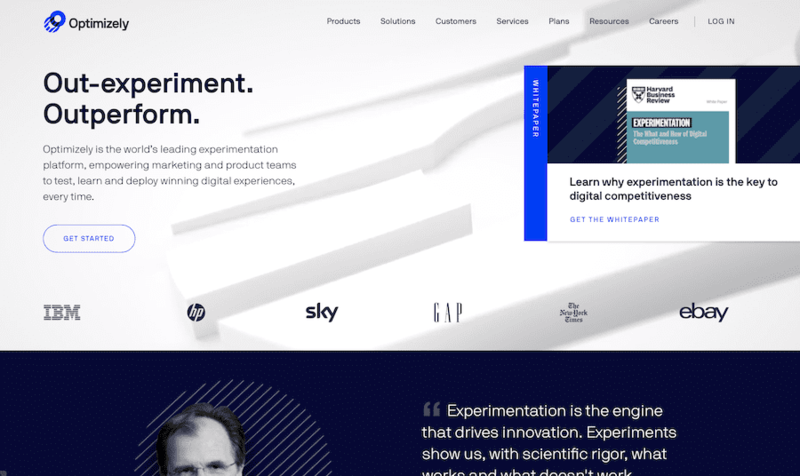 Optimizely is the world's leading platform for remote usability testing, aiming to provide the best solution for companies. It is really easy and helpful for testers to do A/B testing on Optimizely because you can complete the setup in a few minutes. It also helps you to make better decisions regarding the best CTA, titles, and colors potential customers will respond to. Features: A/B testing, cross-browser testing, solid visual editor, data decision, etc. Userlytics is one of the best usability testing tool in the world. You are able to test your website, desktop, mobile apps, prototypes (and so on) on this platform. Userlytics is user-friendly and it allows testers to choose participants, as well as specify questions in detail. Furthermore, you can view the video recording of how participants interact with the designs or websites. It is also capable of integrating with other platforms like inVision and Axure. 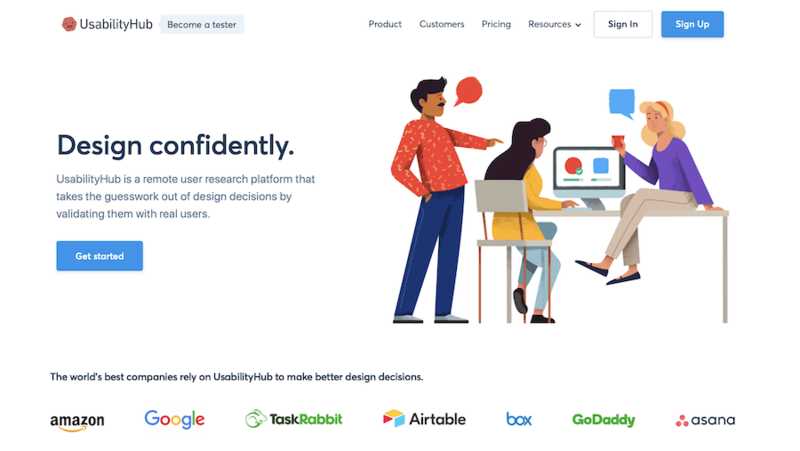 UsabilityHub is a remote usability testing platform that offers real and fast user feedback through 5-second testing, first click tests, design surveys, and so on. With UsabilityHub, testers can view detailed videos of real people sharing their thoughts after they visit your website or web and mobile app. Thus, you are able to make better decisions based on their feedback. 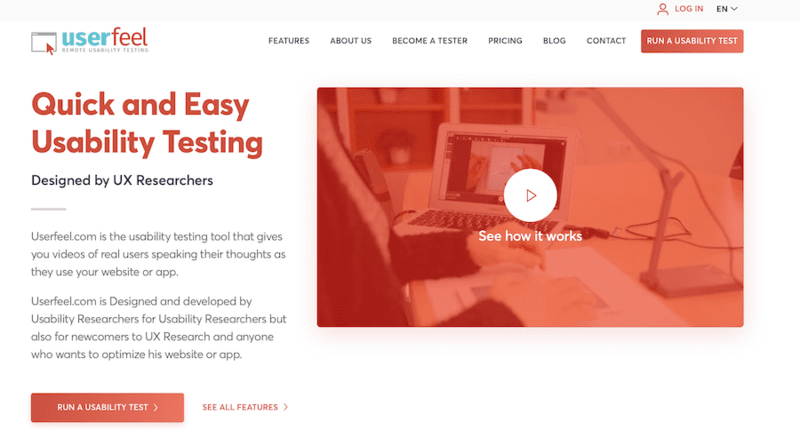 Userbrain is a remote usability testing tool for free, which is so simple and easy to use that you will get addicted to testing your product with real users. You can watch video recordings of people using your site and hear what they think. This will help you spot bugs, issues, and areas of confusion. 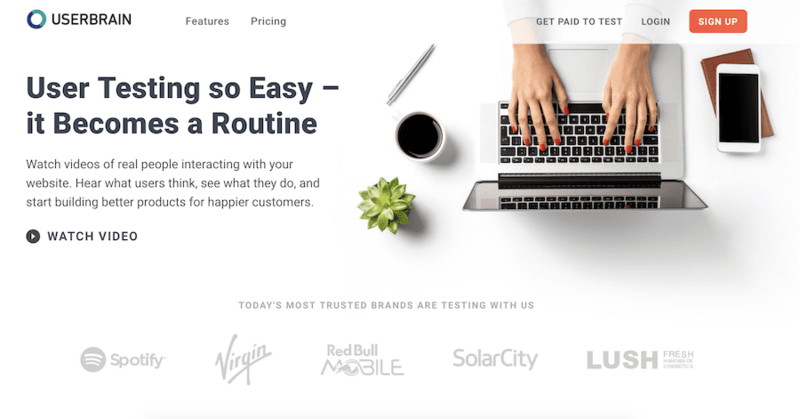 With weekly automated user tests, you can continuously improve your site’s experience and build better products for happier customers. 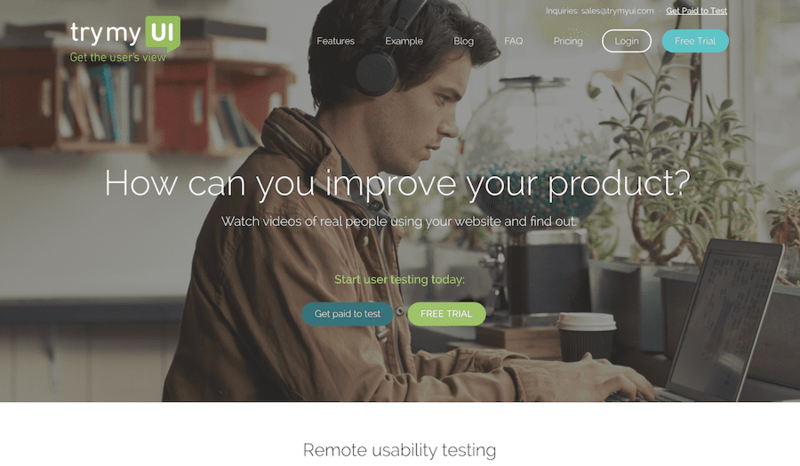 Trymyui is an amazing usability testing tool online. It enables testers to customize their tasks. You can write a list of questions/tasks that you need users to answer/perform on your website. You will then get real-time feedback that clearly shows what users think about your website or application and see where they’re getting stuck. It only takes minutes to set up your test. 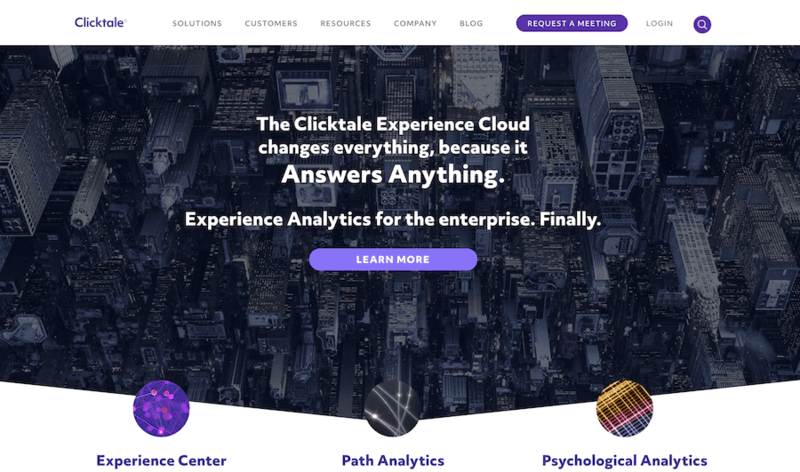 ClickTale is a cloud-based analytic＆testing platform that helps testers visualize user experience on websites. 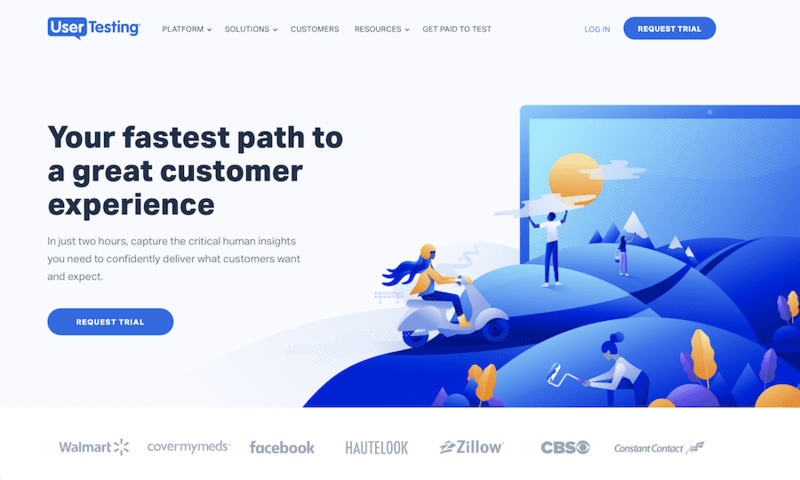 ClickTale provides a lot of analysis functions (heatmap, funnels, segmentation, and form analytics) to help companies maximize the optimization of the landing page and increase conversion rates. Price: Free trial, custom plan. 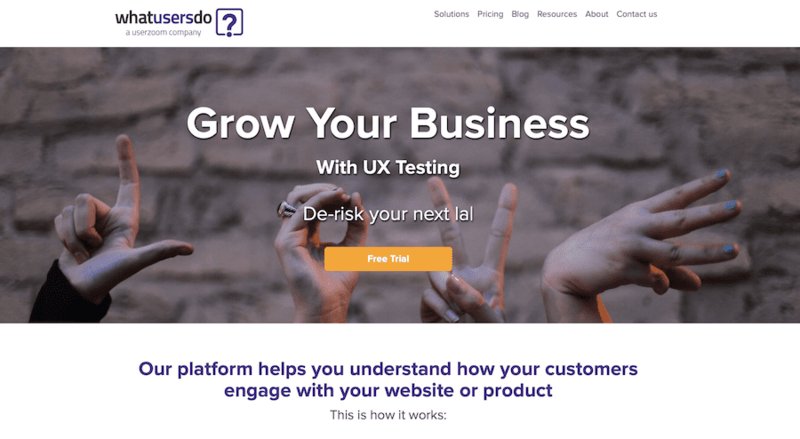 WhatUsersDo is a remote user testing tool. The test team consists of 3,000 real users coming from different backgrounds. You are able to set all sorts of tasks for them according to your needs. Via video and audio recordings of tests, you can observe their behavior and discover how they interact with your website. It is the perfect place to analyze your site and improve the usability of your digital product. If you want to watch a user journey with commentary, this is a good choice. As a usability testing tool online, Userfeel provides you with videos of real users sharing their thoughts as they use your website or app. The professional test team consists of 35,000 users and offers remote usability testing in 40 languages. 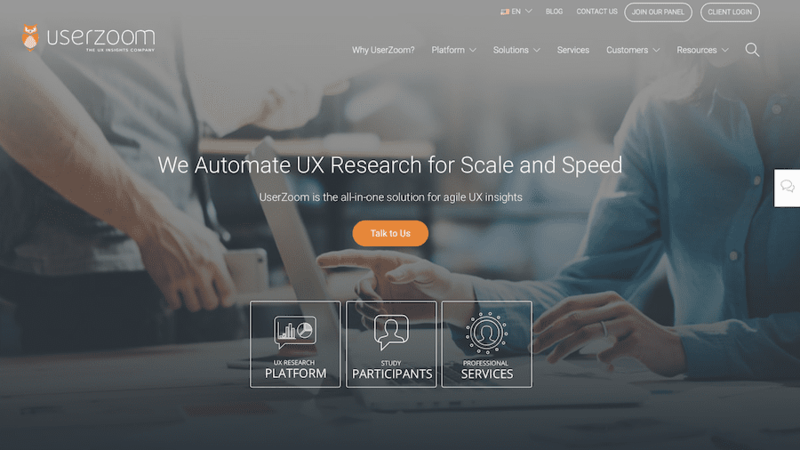 UserZoom is a user experience research and usability testing platform, providing best-in-class research and services and helping companies deliver great user experience. With the platform, testers can analyze and measure user experience on websites, apps, prototypes, and so on. Features: benchmarking, behavioral data collection, one-page click test, great support system, etc. It is also quick and easy to test your prototype directly using prototyping tools like Mockplus and Proto.io. 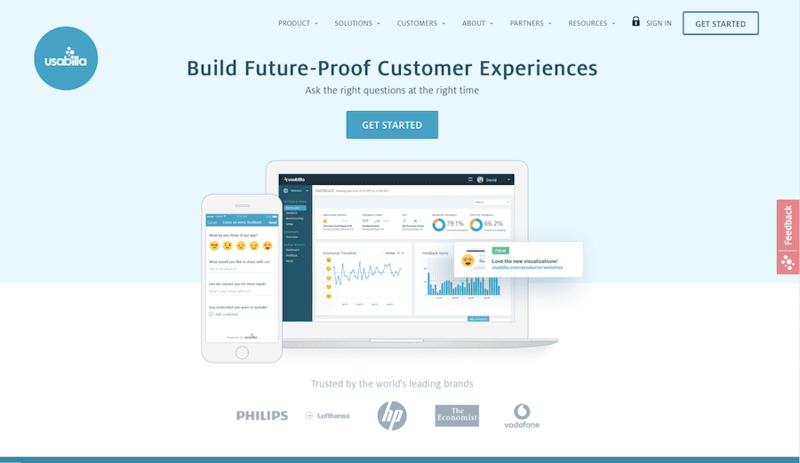 These tools save a lot of time and money and help you optimize your product’s user experience. Mockplus is pretty useful and comprehensive, allowing you to test your prototypes on any device such as Mac/Android/PC/IOS, and you have eight ways to test and share your prototypes. The list above contains the best usability testing tools we’ve found. We will be continually updating this list, so if you have better tools you want to recommend to our readers, please feel free to share them with us!